This blog originally appeared at OurFuture.org on June 21, 2017. Reprinted with permission. 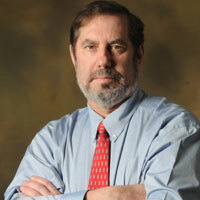 About the Author: Leo Gerard is president of the United Steelworkers. President Donald Trump ran on a platform of giving a voice to rural voters who felt forgotten by politicians in Washington. But his proposed budget, released on Tuesday, proposes deep cuts to crucial Department of Agriculture programs that many rural residents, and farmers, depend on. The budget proposes an almost 21 percent cut to the USDA, the third-largest percentage cut proposed for any agency, behind the Environmental Protection Agency and the State Department. It would cut crop insurance?—?which pays farmers for losses due to extreme weather, or compensates farmers for loss if prices are higher than guaranteed at the time of harvest?—?by 36 percent, far deeper cuts than were proposed under the Obama administration. And it proposes to “streamline” conservation programs, while eliminating the rural development program aimed at bringing infrastructure, technology, and utilities to rural communities. “The Budget Proposal guts the USDA by 21 percent and makes further cuts to programs, all of which will leave rural and urban farmers, low-income families, and taxpayers more vulnerable,” Mike Lavender, senior Washington representative for the Union of Concerned Scientists, said in an emailed statement. The proposed budget zeroes out programs like the USDA’s Farm Safety program, which seeks to reduce farm sector injuries by training workers in how to properly use farming equipment. It also eliminates programs like the Natural Resources Conservation Service’s watershed protection projects, which helps both protect sensitive watersheds from environmental degradation, like soil runoff, and helps rural communities respond to natural disasters like floods. Key research programs aimed at helping farmers adapt to the changing climate?—?like programs that offer grants to farmers interested in experimenting with innovative conservation techniques?—?would also face deep cuts under the proposed budget. More than $33 million would be cut from agricultural research programs like the Agriculture and Food Research Initiative (AFRI), which provides grants for agricultural sciences, and the Sustainable Agriculture Research & Education Program (SARE), which helps farmers fund conservation projects. “The budget would slash funding for key agricultural research and conservation programs, undermining the ability of farmers to sustain their land and their livelihoods for the future,” Lavender said. Cuts to USDA research programs would hardly be the first time the Trump administration showed science to be a low priority for the agency. Trump is expected to name Sam Clovis, a conservative talk-show host that denies the scientific consensus on climate change, to be the USDA’s undersecretary of research, education and economics. That would put Clovis in charge of the USDA’s entire scientific mission, including research programs aimed at helping farmers respond to climate change. Current Secretary of Agriculture Sonny Perdue also denies the scientific consensus on climate change, calling climate science “a running joke among the public” in a 2014 op-ed published in the National Review. Perhaps surprisingly, the Trump budget does not specify what will become of one of the Obama administration’s signature climate-focused programs within the USDA, the regional climate hubs, which connect farmers with on-the-ground information about climate science and adaptation in their region. Office of Management and Budget Director Mick Mulvaney did say on Tuesday, however, that the budget at large was aimed at decreasing the “crazy” climate spending of the Obama administration. This article was originally published at ThinkProgress.org on May 23, 2017. Reprinted with permission. About the Author: Natasha Geiling is a reporter at ThinkProgress. Contact her at ngeiling@americanprogress.org.